I am able to collect your placenta across all local areas in Cheshire and Greater Manchester including Stockport, Macclesfield, Manchester, Wigan, Bolton, Tameside, Oldham, Knutsford, Sandbach, Preston, Blackpool and surrounding towns and cities. Booking your remedies with The Placenta Element means there is no need to buy all the kit, I provide this for you as part of my investment to you. Placenta encapsulation in Cheshire, Manchester, Merseyside and Lancashire. Placenta pills and remedies are processed in Alderley Edge, Cheshire. I can also travel within Merseyside, West Yorkshire and Lancashire. Hi! 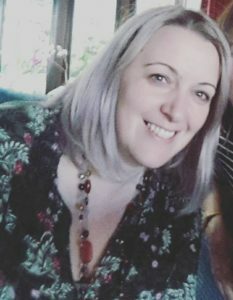 My name is Nikki Mather and I support families as an experienced doula offering birth, postnatal and infant feeding support across the North West. I am a mother of three and wife of one. Being a Placenta Remedies Specialist compliments the work I do as a doula and I am excited to offer Placenta Remedies in Cheshire and beyond. I also facilitate a workshop regarding the EU Regulations of cosmetics. I have safety reports (CPSR) for the cosmetics I provide, ensuring the safety of the cosmetic products you may consider for yourself and your baby. Please get in touch if you have any questions.